Woodgrange market has helped to transform a dull corner on our high street into a vibrant hub. 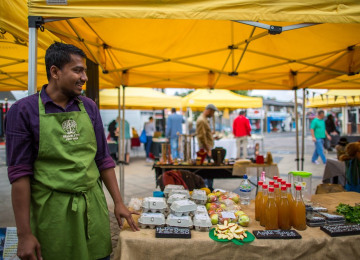 In our three years, the market has revitalised this area, providing a welcoming space where neighbours meet, local traders flourish and people enjoy a strong sense of community. We have helped over 30 local entrepreneurs and community groups to set up stalls. Many have grown into successful businesses, with two former stall holders taking on two empty shops in the immediate vicinity, now successfully trading all week. 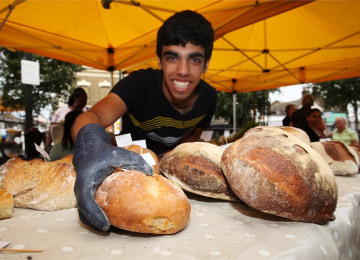 Local community groups have used the market to raise their profile, recruit new members and volunteers and raise funds. The market celebrates the diversity of our local community, with many stall holders selling speciality foods and craft. 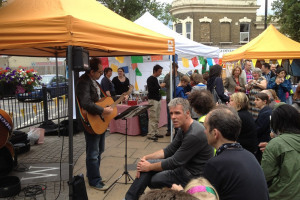 The market has hosted several successful live events including free music and arts events and evening food fairs, bringing the community together whilst supporting local traders and raising local awareness of this corner of the high street. Woodgrange Market has been a catalyst for the genuine transformation of this community over the last 3 years attracting over 1100 people each week. 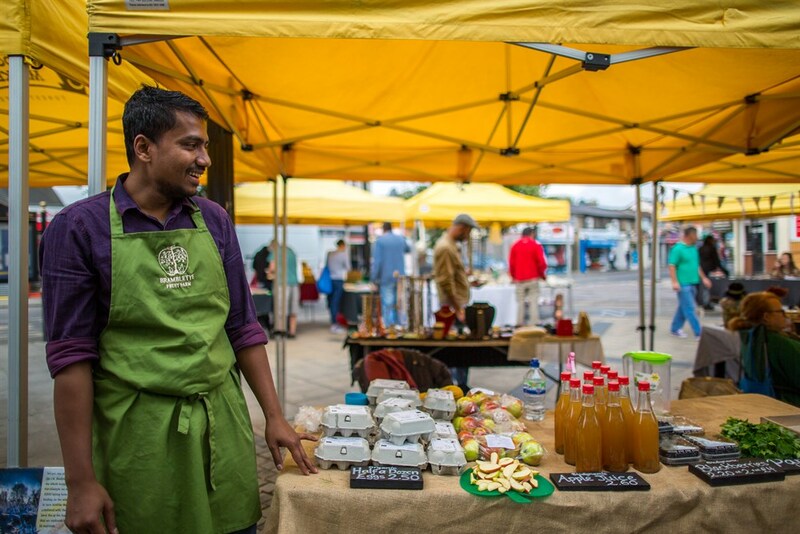 To become truly sustainable we need a wider range of stalls and increased footfall. The Market is not visible from the train station and local supermarkets so signs and banners would make all the difference. By installing electricity we can broaden the range of stalls as well as organise a programme of monthly events to raise awareness and encourage customers to visit more regularly. Our occasional music events have been very popular, attracting over 300 people. 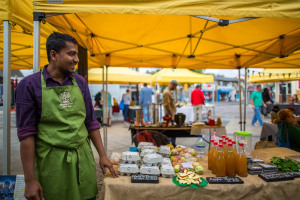 We need more stalls and know three local entrepreneurs who have been unable to find the funds to set up their stalls: a cycle repair/maintenance stall, a craft materials/haberdashery stall, a chai/exotic tea stall. We will work with Community Links to provide business support and a loan to meet the set-up costs, to be repaid over 12 months and the re-invested in new start-up stalls. We have organised several successful free music/arts events and will develop this into a programme of monthly events. We will support 3 local entrepreneurs with business support and a loan of up to £1000 for startup equipment/resources. 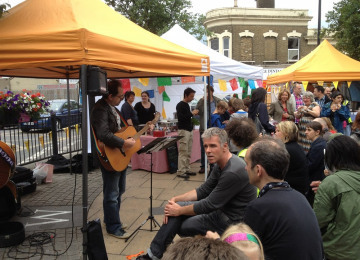 Woodgrange Market is entirely resident-led. Set up 3 years ago by two local women who wanted to encourage residents to shop locally and also build community. 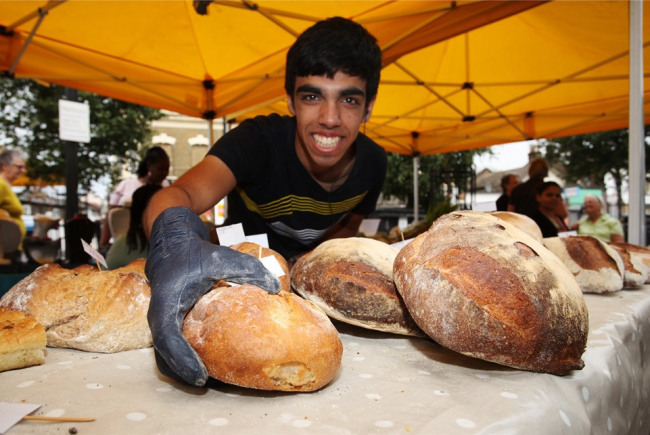 The market sought to provide things not available on the high street like artisan bread, organic vegetables, cheese, jewellery and craft. The local fishmonger had a weekly stall to build awareness of his shop. The antiques/jewellery stall has developed into a 7-day a week shop on our site. The entrepreneur who ran the hot food stall has grown that into a very successful coffee shop on the same site. Both these units had been empty for many years. The market has enabled locals with no retail experience to test their ideas and build successful enterprises. We currently employ 3 local people, including a young person with learning difficulties, and two of the stalls employ local people too. Our market is vibrant and popular - but three years on, we realise that some stall holders struggle and others move on to larger markets. We are a community market made up of local people selling good food, antiques, crafts, books and jewelery. The market has been established for 3 years and has revived the area . It has created a community hub, increased employment, and improved the retail availble in the area. We have worked alongside local businesses and Newham council. We would like to increase our opportunites by having elctricity available for the stalls. This would allow us to open later in the winter and encourage a more diverse trader range. Project Delivery Manager: Woodgrange market place The Project Delivery Manager takes legal responsibility for receiving and spending the funds raised and ensuring the project is delivered.